Check the bucket lists below you wish to add the Mill Woods Golf Course-Mill Woods Golf Course to. Create or update your bucket lists in your account settings page. 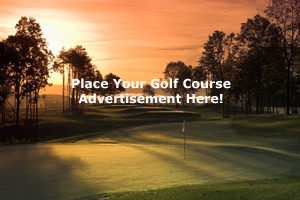 Check the bucket lists below you wish to add the Mill Woods Golf Course-Driving Range to. Create or update your bucket lists in your account settings page. Check the bucket lists below you wish to add the Mill Woods Golf Course- to. Create or update your bucket lists in your account settings page. Check the bucket lists below you wish to add the Mill Woods Golf Course-Bruce Hardy - C.P.G.A. Teaching Professional to. Create or update your bucket lists in your account settings page. A great golf course located minutes drive from Edmonton's downtown area. * Please check with the Mill Woods Golf Course for current price information. "Mill Woods is now open, however with temporary greens on some holes." "Granted I played the course at the start of the season, but I think I expected a bit more considering we had to pay full price. With greens being watered as we putted and fairway conditions not yet up to par, I believe I was entitled to an early bird special. Otherwise the course was a nice easy challenge for my first game of the season." Please login to leave a comment on the Mill Woods Golf Course. Please check with the Mill Woods Golf Course for current price information.